SHAH ALAM, Selangor. (November 25, 2015) – ICE-WATCH and The Marathon Company, today announced that ICE-WATCH has become the official title sponsor of the first-ever night run called “ICE-WATCH - LIGHT UP THE NIGHT RUN”. The funky Belgium brand of watches have teamed up for the town’s first night running event, which will be held on Saturday, December 5, 2015 which takes off and ends from the iconic Plaza Shah Alam. The race will include 5KM & 10KM routes around the town. 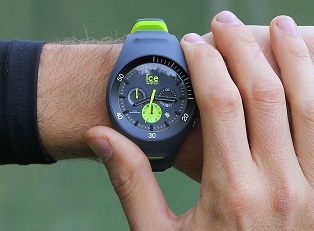 As title sponsor of the race, ICE-WATCH will have a prominent presence. Additionally, the venue sponsor, Plaza Shah Alam will provide ample & fantastic F&B and shopping options to the participants prior and after the race with extended hours until 12 midnight. Ultron will outfit T-shirts for all runners. A one of kind Finisher medals are also the highlight for participants joining this race playing on ICE-WATCH’s bright colours. Among other sponsors include Habib, Rocktape, Redbull and Revive Isotonic drinks. The event will also feature media partners with Running Magazine and Maskulin Magazine with Liv3ly being the Digital Partner. “ICE-WATCH has achieved prominence across the global timepiece market and we look forward to delivering an unforgettable race experience here in Shah Alam, which is a first for this wonderful town” said by Hafiz Md Khas, Project Director of The Marathon Company. The registration receive fantastic responses from new and avid runners alike which has drawn 3,500 participants! Despite prior weather issues with regards to the haze in the recent month or so, this is considered a great success. ICE-WATCH will also gift every 6th registered participant of the race with an exclusive timepiece worth RM379 each. There will also be timepieces worth RM699 each for the Top 5 Male & Top 5 Female runners from the 10 KM competitive category. Today also marks the Official Opening of ICE-WATCH’s gallery in Plaza Shah Alam and was graced by the first and currently the only Ultraman of Malaysia, finisher of the gruelling Ultraman Canada, Kannan Murugasan with local celebrities. The outlet is the first to showcase its latest novelty of timepieces called Ice City. 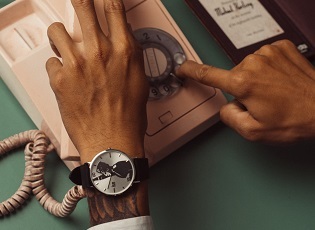 The design combines a subtle and modern design with an ultra-slim steel case and a clean, pared-down dial. The models in the line have a leather wristband that works beautifully with any style. Each model is delivered with a free additional nylon strap. 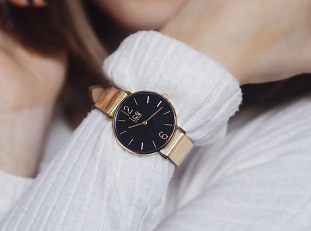 A modern take on tradition for this elegant watch, which comes in two sizes (36mm and 41mm). 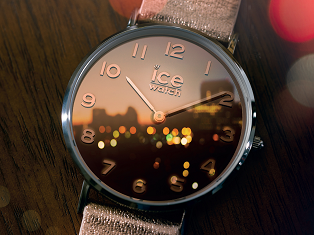 ICE-WATCH has also enhanced its ICE collections with the Ice Chic, with fashion forward gold or iridescent pink dial. The subtle gold reflects the light, shining brightly, lending some its delicate sparkle to the women who wear it. Another enhancement is the Ice Glitter. This ultra-feminine, shimmering timepiece will brighten up everyone’s day, while its glittering sequins will set the night ablaze. ICE glitter is available in black or white with the dial is set with sparkling pink, gold, silver or black sequins and comes with matching hands.